The Departure Details for Visit 96555 appears, allowing you to enter the clinical information, and fees/charges for the visit. The Dental Record is just one click away from this point, allowing easy access to the dental profile, while working up the case. As you can see, when you mouse over the button, an explanation of the button appears in the message bar! 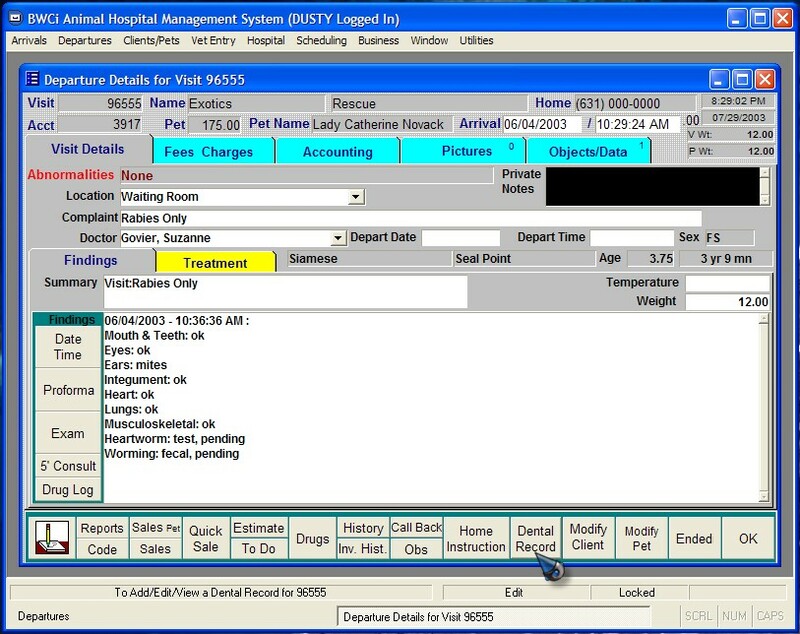 In this case, with the mouse over the DENTAL RECORD button, the message bar reads, "To Add/Edit/View a Dental Record for 96555". Simply click on the DENTAL RECORD button, and see the first view!